Where else would you want to be on a sunny afternoon but camping at Brunswick Heads on the river. 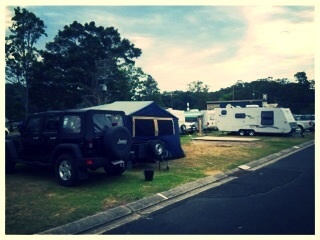 If you like peace and relaxation North Coast Holiday Parks Ferry Reserve Camping Ground at Brunswick Heads is perfect. It has become a favourite of ours over the last couple of years for a weekend and a perfect place to unwind after a busy week. The added bonus is that dogs are allowed except over the busy Easter and Xmas periods. Our pooch thinks it is just Christmas sleeping in a tent with the family. 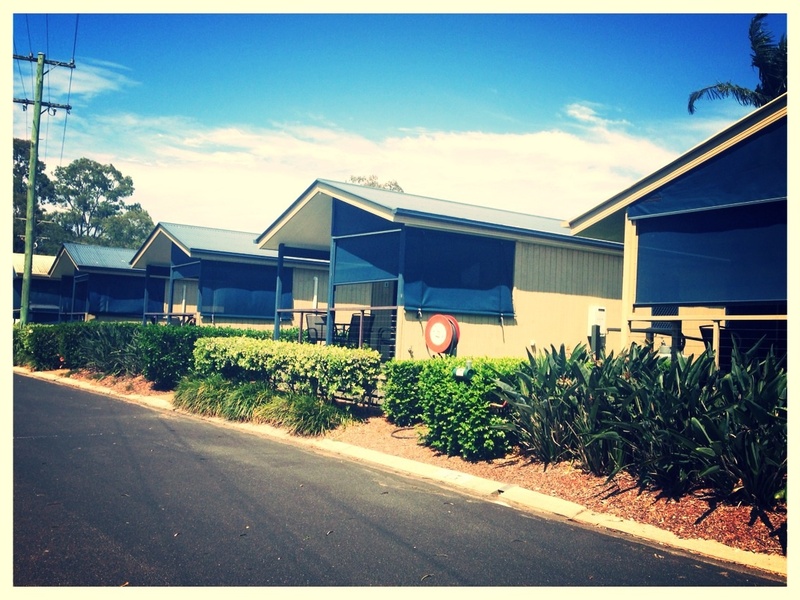 At Ferry Reserve you have the choice of camp sites, power or unpowered or cabins. If you book early enough you may be lucky to have a waterfront camp site which is just brilliant. Cabins are clean, tidy and very comfortable, ideal for those not wanting the hassle of putting up a tent, - wouldn't it be nice to have a caravan one day! There is a new amenities block with great showers, kitchen sinks, under cover eating area, clothes line and a dog bath with hose, something I haven't seen before. BBQ facilities available and own boat ramp for the boaties and fishermen. 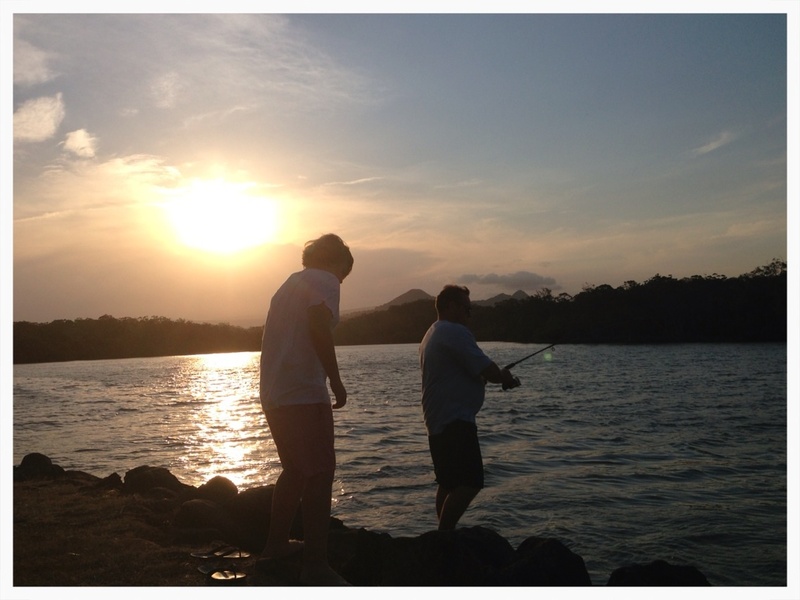 You may need to get a NSW fishing licence (but check website first), which you can get at the office. Ferry Reserve is a magic place for families, no tv, great for fishing, kayaking, exploring and spending quality time together. I must admit though we have sometimes brought the laptop to watch a DVD if it is raining. 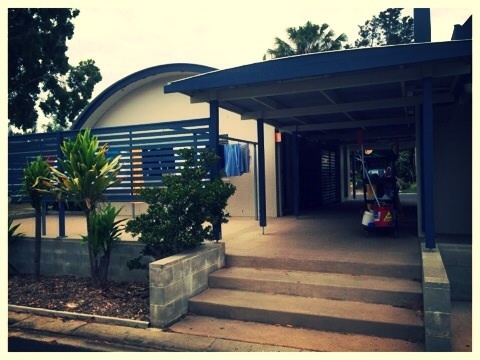 There are a couple of basketball hoops and paths to ride bikes or scooters, an awesome cycle path to ride or walk along the river into town with no major road to cross and don't forget to grab an ice block at the office on the way back to camp to cool down before an afternoon swim. There is plenty to do at Brunswick Heads. Have lunch or dinner at the central hub of Brunswick, the Brunswick Hotel, kick the footy at the park across the road or head across to the patrolled beach on the eastern side. Time your stay for the first weekend of the month and you can explore the Brunswick Heads Markets, 1st Saturday of the month. There are also some great little shops to check out. 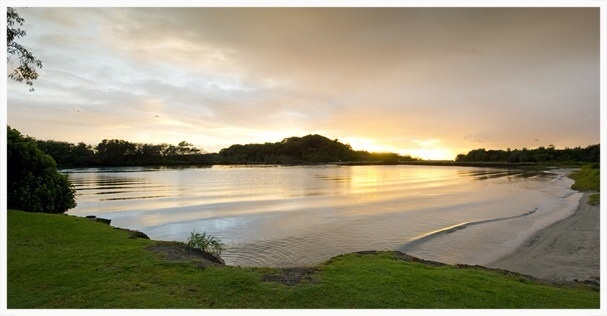 North Coast Holiday Parks Ferry Reserve, is our little secret, a campers paradise right on our doorstep. Cost: From $30 for two people unpowered camp site, Powered sites from $32 per night. Cabins from $117 per night for two people.